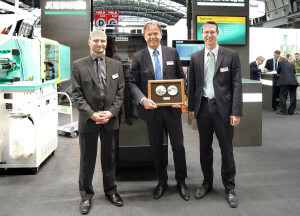 Arburg was awarded the Plast Platinum Award medal in the plastics processing machines and systems category at Plastpol 2015, which took place in Kielce, Poland from May 26-29. Dr Slamowir Sniady, Managing Director of Arburg Polska Sp. 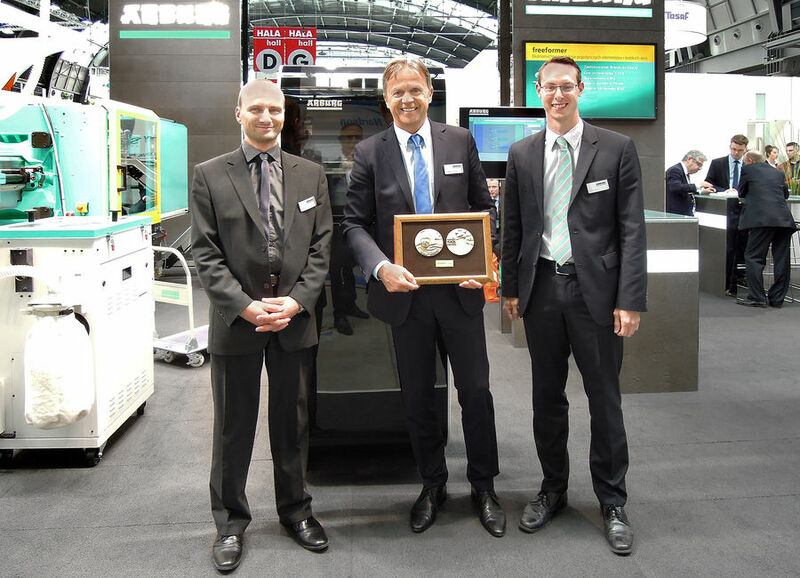 z o o. accepted the award for the Freeformer, being recognized as the most innovative system for industrial additive manufacturing of fully functional one-off parts of multi-variant small-volume batches. With the Arburg Plastic Freeforming process, fully functional parts can be manufactured additively from conventional standard plastic granulates based on 3D CAD data without a mold. Similarly to injection molding, the granulate is first melted in a plasticizing cylinder and the part is then built up layer-by-layer from tiny droplets. The discharge unit with the nozzle remains stationary and it is the part carrier which moves along several axes. This year, the independent panel of judge was led by Prof. Marek Bielinsky of the Bydgoszcz University of Science and Technology.